A simple vegetarian menu, developed to satisfy the needs of most students, is offered at the center. Please note that, no outside food is allowed at the center. If you have any special food requirement due to medically diagnosed condition, please inform us in advance. 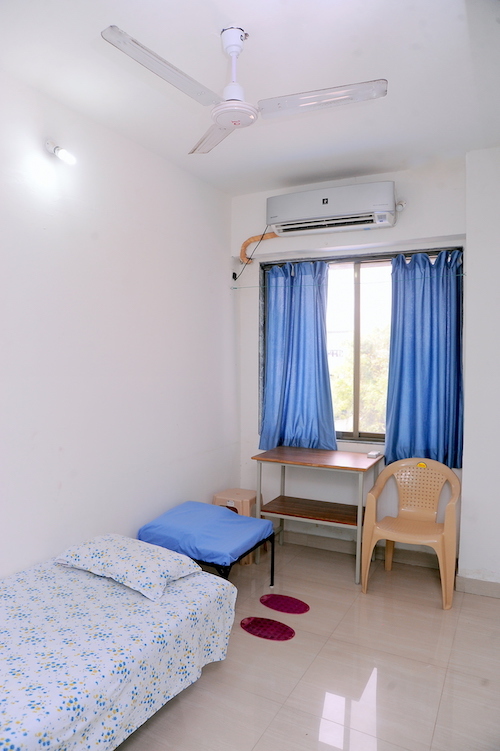 Most of the rooms are for single occupancy and all rooms have attached bathrooms. The primary language of instruction at Dhamma Vipula is Hindi & English. If you are unable to understand Hindi or English, please inform us at the time of registration and let us know your language preference. Instructions are available in a limited number of other languages. The center will make every effort to accommodate your request. Laundry service will be available at a nominal cost during the course.